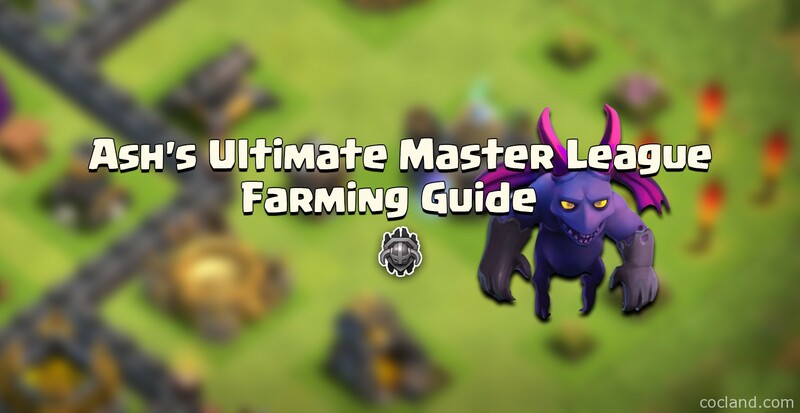 As we all know, the Master League is a perfect place for farming all 3 resources: Gold, Elixir and especially Dark Elixir. Couples of weeks before I wrote a quick guide about best army compositions you should use while farming at Master Leagues but today I am going to give you all details of the most efficient and effective way to dominate there! Should I farm at Master Leagues? Although it is pretty easy for farming at Master Leagues as you just need to find bases with Town Halls outside and snipe them to get the sweet bonus but Master is not the best place for every player, it depends on your circumstances. Farming at here is much harder than at lower leagues. However, everyone can be enticed with the intriguing and sweet loot bonus at here. With every win at Master III, you will receive 100,000 100,000 and 500 . Let’s imagine that If you find can an inactive base for snipping collectors or do a decent attack for Storage loot, the loot you receive will be staggering! Yes! The main reason of most players farming at Master Leagues is the Loot Bonus. However, It is not easy to find bases with Town Hall outside here or destroy 50% of the building for a won attack. Bases here are much stronger and better than lower leagues. If you can’t win most matches, you can’t benefit much from farming at Master and can be dropped to lower leagues anytime. You always need to stress the need for loot bonus and maintaining your trophies. You always need to focus on winning at this hell! Having at least 1 available Hero to assist you. This is extremely crucial. While farming in Master, you will always be placed in the situation where there are just a few percentages away from the 50% win, and you can’t do that without a Hero. As in the previous little guide I wrote, there are couples of best army compositions for farming at Master leagues, but what are the most effective and efficiently ones? We need farming strategies that can get 50% easier than other ones, can be trained quickly and don’t cost much. Those army compositions should consist of cheapest troops are Barbarians, Archers, Goblins, Giants and Minions. Goblins just only target Collectors and Storages which means they are pretty ineffective for winning by raiding 50%. We shouldn’t use them. Minions are pretty wicked and efficient but they take 2 housing spaces each while Archers and Barbarians just take 1 each. It will be hard to control the attack and get 50% If you bring too many Minions. Minions are very versatile, Mortars, Cannons and enemy Barbarian King can’t attack them. By having no more than 8 Minions each raid, your army will be much more effective! Giants are great tankers in Clash of Clans but you should utilize them by having Archer Queen in your army. Note: If you are using Archer Queen, you can use and instead. Note: Archer Queen is must have. What is the best trophy range? Due to the majestic Loot Bonus, you can farm anywhere in Master. However, for the best efficiency purposes, you shouldn’t going to Master II and I. Although Loot Bonus at Master I is much appealing than Master III but there are much more terrible bases there. You will need to either have powerful army to attack or spend a lot of time to find a good base to attack, by that time you can make much loot at Master III. 2550-2650 is the best range for farming at Master. If you fall behind 2500 trophies, you will be kicked out of Master and need to gain back 100 trophies to going back again. So just attack the base you think you can get 1 star from. If you are focusing on all resources, look for at least 100,000 100,000 and 500 . To farm at here, you don’t need the best defensive buildings but decent level of them If you usually constantly log off after attacking a base. You should farm in long seasons, shouldn’t constantly logging off after raiding or occasionally farming. If you are at Town Hall 9, just place or Town Hall outside, otherwise you will get raided badly by Town Hall 10 players. You can’t stop them no matter how well your defenses are. Just place your TH outside, they will attack it by just a few hits for the juicy bonus and leave you alone with your resources and free shield. Losing a few trophies it always better than losing a big amount of loot. 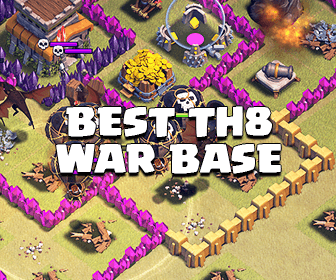 Thereto, If you place your TH deep inside the base, you will be pillaged both trophies and loot. This is the most important part in this guide, we are going to see how to actually attack at Master League with the best effectiveness. 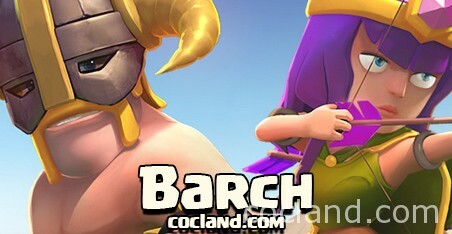 As I mentioned above, we should use either GiBarch or Barch for the best effectiveness. I will show you the best ways to use and attack with them but firstly you should remember the types and the number of buildings you should attack to obtain the 50% win with ease. The main point while farming in Master League is obtaining 50% win – 1 star, aim at collectors and other buildings which are usually spread around the base. We are going to attack from all sides of every base to take down as many buildings as possible. Note: The number of normal buildings is more than half of total structures in game. If just all defensive buildings are placed behind the walls, you can easily get 50% from that base! Multi-Target Inferno Towers in range: They can be the biggest threat because of the 10 tiles of attack range. If you face a Multi-Target Inferno Tower protecting the outside of the base, just press Next button. Don’t attack this kind of base! Heroes outside: If they are protecting outside of the base, they can be very wicked. They can distract and lure your troops anytime and that will be not fun at all If there are Mortar and Wizard Tower nearby there. Your Barbarians and Archers will be disappeared within seconds. Mortars in range = deadly. With splash damage and 11 tiles of attack range, your troops can be wiped out badly. Spreading your Barbarian and Archers around the base is always critical and remember always deploy your Barbarians before Archers. Wizard Towers in range = very dangerous. However they just have 7 tiles of attack range, unlike Mortars, so you can avoid them much easier with the range of Archers. Clan Castle troops can ruin your attack anytime but It is not hard to deal with them. Always check for Clan troops at first If you can. If the Castle is deep inside the base, we don’t really need to care about it because we just attack buildings outside the base, try your best to not trigger them. Always bring Poison Spell to deal with Clan troops. Giant Bombs are always a hug threat for any Barcher. If your squad go through the funnel and trigger Giant Bombs, your attack will be totally over. Many bases use Hidden Teslas outside as traps, especially at high leagues like Master or Champion. Beside other rapid firing defensive buildings, they can be extremely terrible. If a base has just a few or no free spaces inside, it means it has either Hidden Teslas or Giant Bombs outside. Simply deploying couples of Barbarians around the base before spawning a bunch of troops can save your whole army. There are a lot of other threats you should worry about while farming, obviously. You shouldn’t avoid them all, If not you will have to spend a lot of time for farming a good base. But it is recommend that you should watch out everything that can affect the outside of the base, where you mainly focus on. Let’s watch this video and see what you can do with all given tips in this guide! There are also lots of more great videos at here. 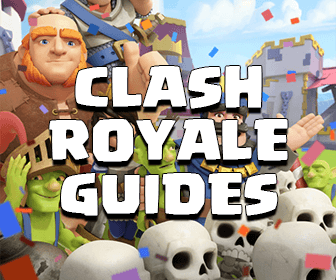 I hope this guide can outlines you every important tips and notes while farming at Master Leagues. Don’t hesitate to ask everything you want!